I guess it happens when you start to get a bit older! I find that the things that feed me spiritually have widened so much in recent years. Don’t get me wrong, I still love to sit down with a good bit of Oswald Chambers or a bit of Brengle or other such writers in the evangelical stream of things. Never having been one who is a fan of ‘liturgy’ in a formal setting (esp in corporate worship), I’ve found some surprising gems in two areas in recent months. I have been dipping into the Siddur, the orthodox Jewish prayer book. Part of the insight here is that some of the prayers to be found are ones which have been around a VERY long time, such as the amidah which Jesus would probably have prayer regularly and who some say is the root of The Lord’s Prayer. Anyone who has ever prayed through, for example, the evening prayer in the siddur will have found great blessing in the God of Israel who neither slumbers nor sleeps! The second is a more recent purchase. 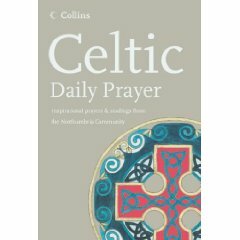 Celtic Daily Prayer produced by the Northumbria Community. This book came on my radar after a visit to Holy Island (Lindisfarne) earlier this year. 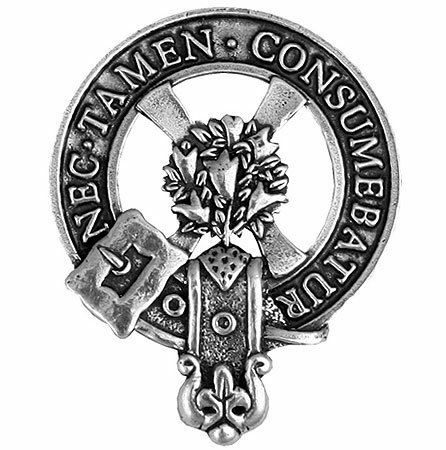 It caries some ancient and modern prayers, meditations, readings etc in keeping with this hub of celtic Christianity in the UK. What I like about this is the understanding it brings of God as much bigger than just the recipient of our daily prayer list! There is room to consider the vastness of God, God as Father, Son Spirit and the responses of his people to that over the generations. Having said all that, a vigorous Salvationist spirituality is my default mode. Yet how good it is to remind ourselves that we stand on the shoulders of spiritual giants throughout the whole path of Christianity and Judaism as we’ve all tried to engage with God. Today in the UK is designated ‘Back to Church Sunday.’ Many churches throughout the nation, including many Army corps, held what I guess could be best called ‘seeker service’ and people were encouraged to invite people back to church. I am all in favour of any initiative that engages any particular group of people to reconsider connecting with the things of God. The materials are well produced and thought-out and I’m sure that there will have been some positive results. There are some cultural assumptions made in the designing this event which is fine if you happen to live with-in the culture of it. For example, the title of the day, Back to Church Sunday, seems to assume that a)people went to church at some point and b) they should come back. There are indeed generations of people for whom that is true, but its not a large generation. I guess too that there are some younger generations who’ve found themselves de-churched. Yet, we should never assume that whilst there are those who will respond to the opportunity to return if they are invited that all will chose to do so. People ‘leave church’ for many reasons. There are also some questions around the theology of church. The initiative finds its roots in the ‘inherited churches’ who may or may not still have the sense of ‘we are you’re local church, it belongs to you.’ Its a valid idea, but I don’t get the sense that people own their local church, and if they do, its unlikely to be a Salvation Army corps in the sense that many locals might say ‘I’m Church of Scotland’ or ‘I’m C of E’ The second theological assuption with regards to church is that its something that you go to…there is a strong emphasis on Sunday gathering. In this regard, I was encouraged to see the approach at Glenrothes Corps where they held a ‘Back to Church Thursday’ event. Great contribution to the idea, and well done for saying it. Church, as we all know, is the people, not the building or the meeting which happens in the building and certainly not the day it meets. Another issue is one that has become very much heightened for me both working here in Torry and through Street Pastors. In talking to tens of people in those capacities, the term ‘church’ is still as unpopular as its always been. I can recount several Street Pastor conversations where as soon as you mention the words ‘we are from churches through out the city’ immediately either walk away, freeze up, or go quiet. I’ve stopped saying we are from churches across the city. Church is still not a positive term, it carries negative connotations. Whilst many Salvos might say Army has a negative connotation in society, that doesn’t necesarily mean that ‘Salvation Army’ evokes negative and certainly nowhere near as negative as ‘church’ talk. My wife, just back from her teaching week for her MA in mission, was sharing that one of her lecturers, Stuart Murray Williams, a prominent missiologist and church planting ‘guru’ said that he things Back to Church Sunday will be something which will work in the short term amongs a small group of dechurched people, but he doesn’t see it as a lasting strategy, for some of the above reasons, as well as the fact that people will only respond to so many Back to Church invitations. Would we be in danger of adding another annual date to people’s nominal churchianity on top of Christmas and Easter? Who knows. I live in a community where less than 1% of people currently attend church, some families ‘de-churched’ for many generations. ‘Back to Church’ therefore needs to do some transitioning in order for us to ‘take part’ which is what we will do. Our location and situation simply needs a fresh aproach. So whilst I add the thoughts above as part of the reflection on Back to Church Sunday, I also believe that its throroughly possible to adapt any well intentioned idea to the local setting. When the Salvation Army launched its ‘Strategic Framework’ it was explicit in absolute terms about local corps applying initiatives suited to their locality. Its absolutely right, because we’re no longer in the days where things can be automatically rolled out in every community, even if we ever were. So, like I say, we’ll be adapting to local need. We plan to use the material for our November gathering, using the theme ‘Come as you are’. Having had a little social gathering (quiz) on the Saturday night of the 31st, we’ll be holding a big community meal the next day, including some music, a short talk and invite to link up with what we’re calling ‘Alpha Expresso’ – a four week extract from the Alpha Course running through November. We’ll then encourage any people interested to either plug in to an appropriate existing cell group or we’ll start on especially for them if they can’t make any of the others. Looking forward to hearing the great stories both of where Back to Church Sunday worked as set out, and where people have had to adapt. I am guessing too that there are some who will just dismiss it…lets not throw ANY baby out with the bathwater – everything is useful with the right pair of glasses and a good dose of creativity.